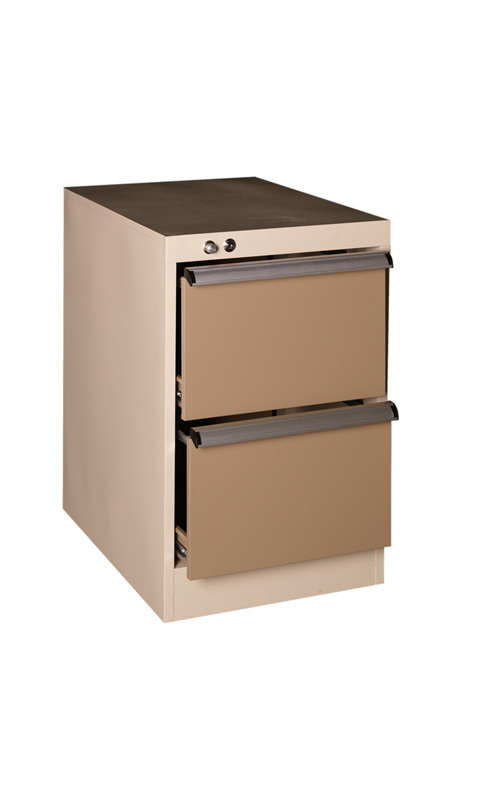 Aluminium locking mechanism with an “Anti-tilt feature” for added safety and security. 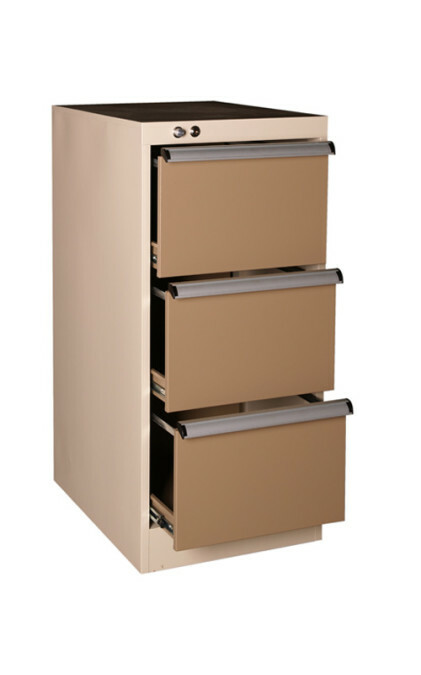 Drawers with 35kg Rated ballbearing slides have rails to hold foolscap hanging files. 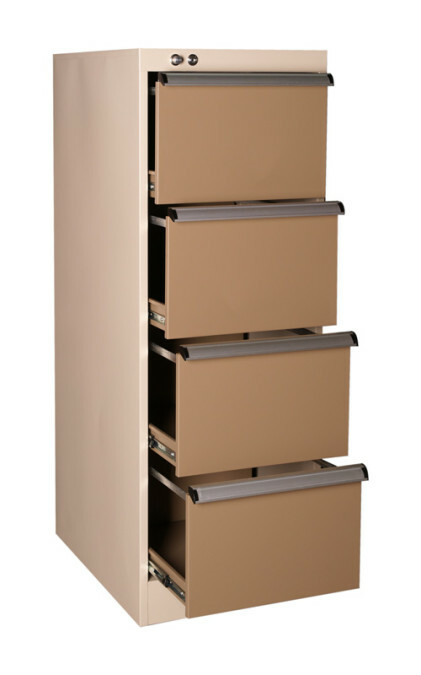 Made in 2, 3 and 4 drawer models.